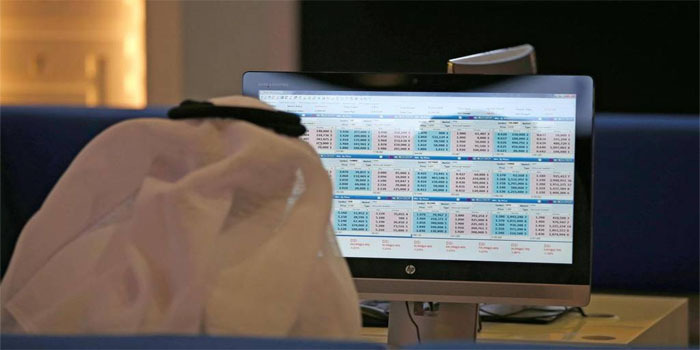 The UAE stock markets are expected to be gripped by five factors this week, analysts told Mubasher. By the end of last week, the Dubai Financial Market (DFM) slipped 0.97% to 2,543.67 points, while the Abu Dhabi Securities Exchange (ADX) jumped 2.4% to 5,112.15 points. Investors are anticipating the disclosure of annual financial results of 109 listed-companies this week, including private and state-run companies. The announcement of real estate firms’ financial results and cash dividend distributions for 2018, in addition to other companies’ restructuring announcements, especially in the DFM, are the main factors to control the local markets this week, analysts said. Tariq Qaqish, managing director of asset management at MENACORP, told Mubasher that the DFM closed last week in red territory as some companies posted a decline in annual profits and narrowed down dividends plans. Last Thursday, some Dubai-listed firms revealed cancelling projects, which pushed down the market, Qaqish indicated. It is worth noting that DXB Entertainments had suspended its AED 2.6 billion Six Flags theme park project in Dubai due to lack of funds. Moreover, thin liquidity in the UAE’s twin bourses, particularly the DFM, which may force some firms out of the MSCI Emerging Markets Index, he highlighted. He stressed that many investors are waiting for real estate firms to report their financial results for 2018, capped by Emaar Properties and its subsidiaries, as well as some firms that inclined to restructuring schemes in the past period as Arabtec Holding. Investors in the DFM are also expecting Drake and Scull International (DSI) to announce a restructuring plan, which will re-pump heavy liquidity into the market, Qaqish added. For his part, CEO of Minecraft Consulting Fady Al-Ghattis said that the UAE bourses are still looking for positive catalysts to boost investor confidence in the markets. Most of the listed-stocks have witnessed selling pressures recently after seeing quick profit-taking, Al-Ghattis emphasised. He pointed out that the ADX is likely to remain stable as First Abu Dhabi Bank (FAB) seeks to raise foreign ownership in its shares to 40% from 25%, in addition to the positive results and dividends Emirates Telecommunications Group (Etisalat) is likely to post. The CEO of Minecraft projected most of institutional investors to build new financial positions in the capital’s stock market by benefiting from the recently announced cash dividend distributions. The ADX has seen an upward trend last week on the back of the merger between Abu Dhabi Commercial Bank (ADCB), Union National Bank, and Al Hilal Bank, as well as FAB’s intention to raise foreign ownership in its shares, CEO of Al Safwa Mubasher said. Some of the DFM-listed banks are expected to exit the MSCI Emerging Markets Index, which pushed the market to fall last week, Ehab Rashad pointed out. Blue-chip stocks are likely to resume the bullish trend over the coming trading sessions, especially after seeing weak sell-offs last week, Rashad projected.